The song is called “Cosmos Elegy” (コスモスの悲歌, Cosmos referring in that case to a flower) and is performed by Mitsuko Nemoto (根本美津子), with lyrics by Saeki Takao (佐伯孝夫) and a music composed by Kanbe Michio (神戸道夫). The only reference I found online is this entry in the website of the Japanese National Diet Library. 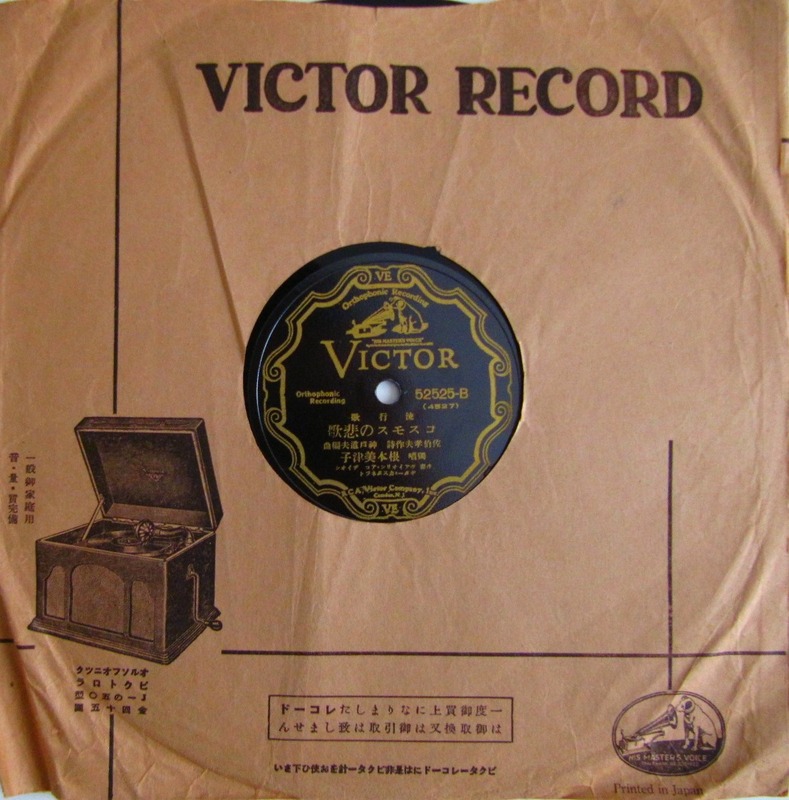 According to this page, the record was recorded in 1932 and released on January 1933. That’s all… Any extra information about this song or this singer would be really appreciated ! Any experts of old Japanese music among you ? Here is the recording… I especially like the voice’s melody and the melancholic accordion… Enjoy! Update (March 16th 2013) : According to Kato Hopkins, “Nemoto was not a major star, as the lack of info on the net would prove, but she had a lot of records released, starting in 1930, I think. Many are B-sides, so maybe Victor was trying to push her and she just didn’t catch on“. Thanks to him for this extra information! By the way, I just saw that this song was part of the sampler “Japanese Retro Hits – The Pre War Years, Volume 2“, published by Musical Ark on September 2012.
this; 根本美津子 Try pasting this kanji on Wikipedia. Very refreshing. 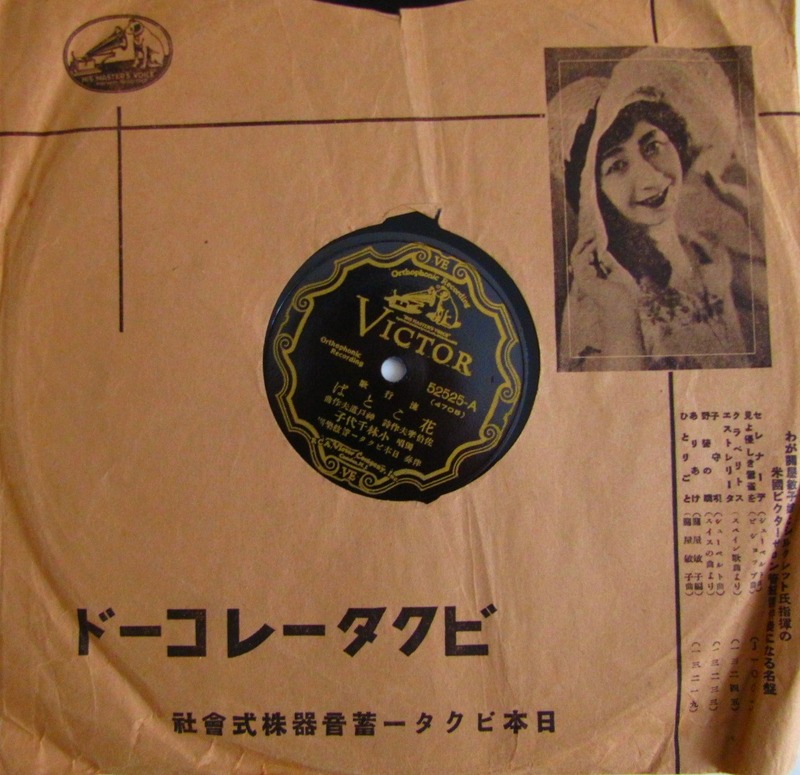 I have a few Japanese 78s from that era but most are westernised in the worst sense. I’d really like to hear this, can you repost it? Please? I am sorry to report that I had recorded “cosmos elegy” on my computer, and was playing it periodically, via my Internet Explorer “favorite” , until about 2 weeks ago, when various computer problems, (partly the admitted fault of att.net,) caused , apparently , the total erasure of the music. It was a great loss. I remember fondly the Japanese ladies of 1952-3, when I was in Japan.